The terms “we,” “us,” “our,” and “Website” refer to The Homes I Have Made (Website), The Homes I Have Made, LLC, and Megan Duesterhaus. The term “service” describes the blog content and digital products provided on this Website. Information You Voluntarily Submit to the Website. We may collect personal information from you such as your name or email address when you voluntarily submit information to the Website by leaving a comment, subscribing to a newsletter, or submitting a contact form. Account Logins. For some website functionality (i.e., The Organization Toolbox memberships), you may create a user account that allows you to login to the site and access exclusive content. The purpose of these user accounts is to protect your personal data behind login security, and to protect the integrity of our website and the products on it. Data collected will generally involve your name and email address (which doubles as username) at a minimum. If you do not purchase a Toolbox membership, then no such data will be collected in this regard. Information We Collect from Others. We may receive information about you from other sources. For example, if you use a third-party software through the site, they may transfer information to us for fulfillment. Automatically-Collected Information. We automatically collect certain information about you and the device with which you access the Website. For example, when you use the Website, we will log your IP address, operating system type, browser type, referring website, pages you viewed, and the dates/times when you accessed the Website. We may also collect information about actions you take when using the Website, such as links clicked. This information is collected via Google Analytics. Cookies. We may log information using cookies, which are small data files stored on your browser by the Website. We may use both session cookies, which expire when you close your browser, and persistent cookies, which stay on your browser until deleted, to provide you with a more personalized experience on the Website. Google Analytics. This service tracks Website usage and provides information such as referring websites and user actions on the Website. Google Analytics may capture your IP address, but no other personal information is captured by Google Analytics. ConvertKit. This service is used for delivery of email updates and newsletters. Your name and email address are stored for purposes of delivering such communications and you can unsubscribe at any time. MailChimp. This service is used for email delivery of blog post updates. Your name and email address are stored for purposes of delivering such communications and you can unsubscribe at any time. Affiliate Program Participation. The Website engages in affiliate marketing, which is done by embedding tracking links into the Website. If you click on a link for an affiliate partnership, a cookie will be placed on your browser to track any sales for purposes of commissions. Newsletters. On the Website, you may subscribe to our newsletter, which may be used for advertising purposes. All newsletters sent may contain tracking pixels. The pixel is embedded in emails and allows an analysis of the success of online marketing campaigns. Because of these tracking pixels, we may see if and when you open an email and which links within the email you click. Also, this allows the Website to adapt the content of future newsletters to the interests of the user. This behavior will not be passed on to third parties. Opt-out. You may opt-out of future email communications by following the unsubscribe links in our emails. You may also notify us at megan@thehomesihavemade.com to be removed from our mailing list. Access. 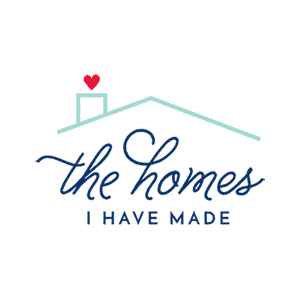 You may access the personal information we have about you by submitting a request to megan@thehomesihavemade.com. Amend. 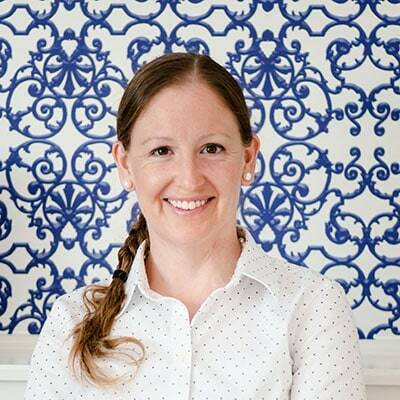 You may contact us megan@thehomesihavemade.com to amend or update your personal information. Forget. In certain situations, you may request that we erase or forget your personal data. To do so, please submit a request to megan@thehomesihavemade.com. The Website does not knowingly collect any personally identifiable information from children under the age of 16. If a parent or guardian believes that the Website has personally identifiable information of a child under the age of 16 in its database, please contact us immediately at megan@thehomesihavemade.com and we will use our best efforts to promptly remove such information from our records.